Definition at line 143 of file msgtrace.c. Definition at line 83 of file msgtrace.c. Definition at line 71 of file msgtrace.c. Definition at line 22 of file msgtrace.c. Definition at line 179 of file msgtrace.c. 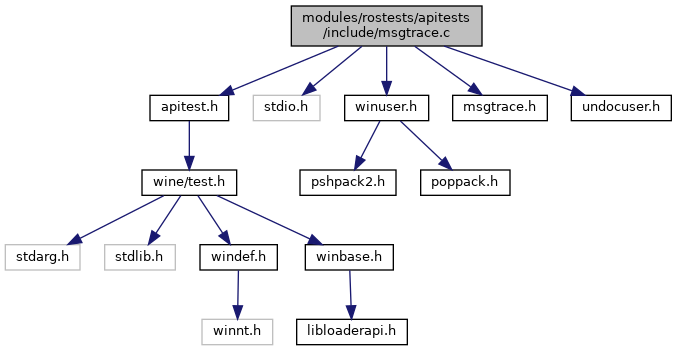 Referenced by FlushMessages(), TestProc(), and thread_proc(). Definition at line 88 of file msgtrace.c. Referenced by compare_cache(), and trace_cache(). Definition at line 130 of file msgtrace.c. Definition at line 15 of file msgtrace.c. Definition at line 20 of file msgtrace.c. Referenced by Test_DWP_SimpleMsg(), Test_Messages(), Test_MessagesNonThemed(), Test_MessagesThemed(), Test_NonClientMetrics(), Test_SendInput(), Test_TrackMouseEvent(), and TestMessages().